While Venmo, Google Wallet, and more try to take a business approach to peer-to-peer payments, Snapchat today swooped in from the consumer side. 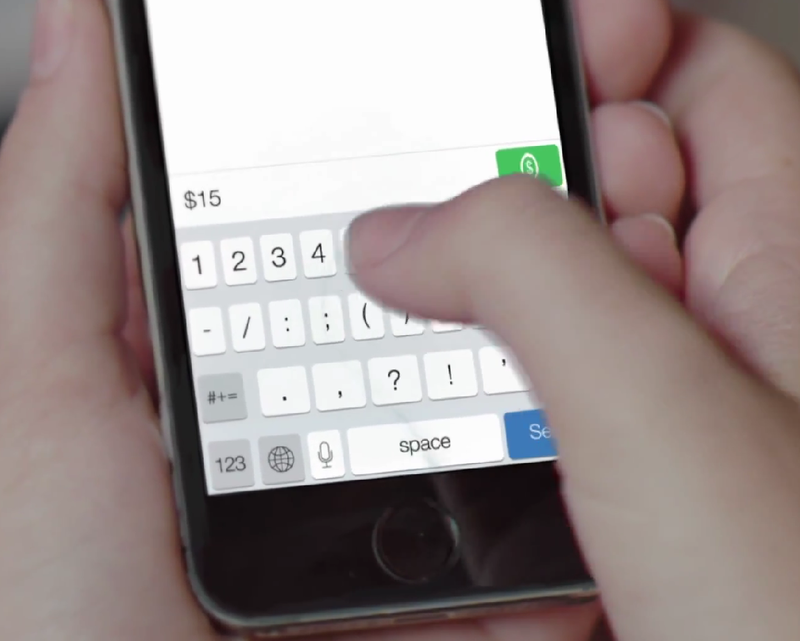 It just added a “Snapcash” payments option to its app through a deal with Square Cash. Now you can add a debit card, type a dollar amount into Snapchat’s text-chat feature, and hit the green pay button to instantly send a friend money. The feature is on Android now and is coming to iOS soon. We first reported that Snapchat had filed trademarks around payments in July, and now we know why. Beyond p2p payments, the trademarks could prime Snapchat for ecommerce and payments to merchants as well. For example, the app could one day send you a Snap or show a Story ad from a mechant, and let you buy the product shown instantly through Snapchat. Depending on how its relationship with Square Cash works, Snapchat could also potentially cross-reference debit card info through Snapcash-connected accounts to improve its ad targeting. Essentially, 18+ US users sign up by adding a Visa or Mastercard debit card. All their account details are held by Square Cash, you don’t have to worry as much about trusting Snapchat, which has had privacy and security problems in past. Being featured in Snapchat will net Jack Dorsey’s company brand exposure and credit card numbers. There may be a financial agreement between Snapchat and Square, but they’re staying tight-lipped on that. Snapchat did say it was interested in possibly offering more payment methods such as credit cards or bank accounts, though Square only handles Visa and Mastercard debit cards for now. The Snapcash deal could be big for Square Cash’s competitive strategy as it tries to edge out Venmo, Google Wallet, and more for the p2p payments market. None have gained widespread consumer adoption, even though they can be extraordinarily helpful. I use Venmo regularly for splitting dinners, drinks, cabs, or trips with friends. But by wedging itself into p2p payments through a consumer app that tens of millions of people already regularly use with their close friends, Snapcash could inject itself into the lives of people who never considered downloading a finance app.